Achievement of the Season - Spring 2018 Winners! Hey fellow Runescapers! For eleven years, the Achievement of the Month competition has gone strong. However, it became apparent to us that the pool of posters in Achievements has become more and more limited over time. The short and sweet answer for ending the competition is that it could not be sustained for much longer under the current activity state of the board. We are excited to introduce the return of AotM in a slightly modified format, renamed AotS. This competition will be run quarterly with the Winter season considering topics and posters from January to March, Spring season considering topics and posters from April to June, and so on. All other rules remain the same. Please refer to this link for a rundown on rules, categories, and the Hall of Fame with past winners. Winners now receive three (3) months of Exclusive and customized banners. Threads that were either posted or remained active from April to June 2018 were considered for nomination. Player-submitted nominations have also returned so be sure to PM any of the below names with nominations for any categories! Please do vote and tell your friends too! 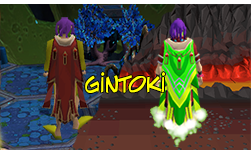 The RS3 Achievement of the Season winner goes to Gintoki who, after countless of hours, managed to achieve the Trimmed Completionist Cape. Hopefully you didn't do the 5k Castle Wars games before they updated/changed it and best of luck with your 200M DG goal! This winner of this season's OSRS Achievement of the Season is Enuo for managing to get a Dragon Warhammer on their ironman account in a mere 1,745. Congratulations on your drop although I'm honestly not too surprised since the RNG on your account is stupidly insane so it's fitting that the trend continues and you get another rare PvM drop way below drop rate! Best of luck with your future account goals! This season's Best Personality winner is a returning winner who won the AotY a few months ago. Congratulations to Adrenalized for taking the category again, winning the past two out of three competitions in this category. Keep up the good work and good posting. Thank you once again to everyone who voted and congratulations once again to the winners. Stay tuned~. Thanks for the recognition see you guys out on the battlefield. Give it up for IDK for earning his very first win! Brainiac, Victoria, Nitromanic, and zGoat should be disappointed.